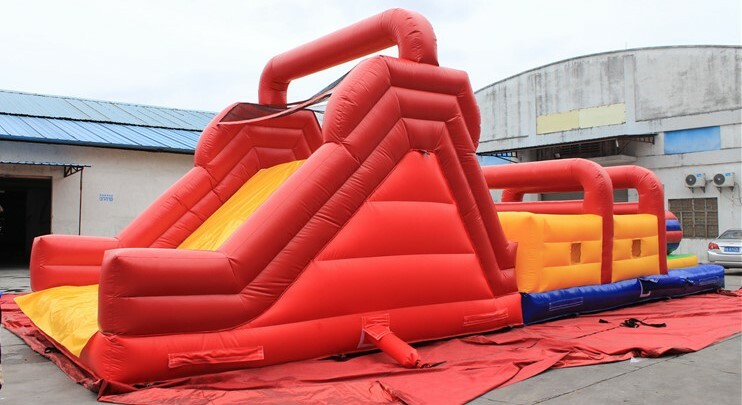 JW Obstacle is a challenging inflatable suitable not only for kids, but also adult. First the challenger have to go through the holes, then climb up the obstacles and jump into pool of balls, then go through the pillar for some adrenaline climb and fast sliding. Very interesting and fun.